Everyone is different, but some people want to do something positive in a difficult situation. Some families find that friends and other family members also want to do something to show their support. Often this may mean fundraising for Histio UK. That is why we have created our Specially Named Fund. Families and friends decide to set up a named entry as a way of contributing and making a difference while a patient, child or adult is on treatment, in recognition of the support they received or in celebration of successful treatment. Sometimes families choose to set up a named fund at Histio UK in memory of their friend or relative when they sadly do not survive their particular form of Histiocytosis. This can be a way to create a lasting legacy for their friend or relation and make a difference to other patient’s lives in the future. Specially Named Funds are used in direct relation to our work – this could be in, research, publications, information or the funds may support our awareness programs as well as our general work helping all patients, diagnosed with Histiocytosis as well as their families and friends. During and after their Histiocytosis experiences, families sometimes consider setting up their own charity. For many, our Specially Named Funds may be a suitable alternative. We can help families to achieve their fundraising objectives, while taking away the administrative burden of setting up and running a charity. Families and friends can take advantage of our experience and resources, minimising the costs to them so they can focus on raising funds and raising awareness of this devastating disease. 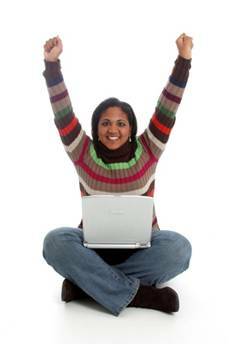 All funds are managed in benefit of our objectives. Histiocytosis HLH, LCH and the rarer forms such as ECD, JXG, Rosai Dorfman and diabetes insipidus are probably words that you never thought you would associate with your child, friend or your family member. The diagnosis can be frightening and the journey can be challenging for the whole family. Often this may mean fundraising for Histio UK. That is why we have created our Specially Named Funds. You can fundraise together with friends and family towards a specially named fund in aid of Histio UK. Donations come direct to Histio UK to help children, young people and adults with Histiocytosis. You can help us provide research and reach more people. Who can set up a Specially Named Fund? As a parent, family member or friend of either a child, young person or adult you can set up a fund in memory of someone lost to the disease or who is currently receiving treatment or has completed their treatment. It is quick and easy to set up a fund download a form or email us at istio@HistioUK.org and we will send you one. Whether it is just you, your family or friends, your workplace, school or college that want to raise money for your fund, we will help find just the type of fundraising for you - from fundraising in your lunch break, to taking on a sporty challenge or organising your own event. your special named fund entry. Histio Bear does not hold a passport and so can only travel within the UK or to Eire and will not travel during 1st November to 30th January. Does the patient have brothers and sisters? (If we can we will include them in the Histio Bear Hugs nomination by sending them a mini bear PLEASE NOTE Mini Bears are not suitable for children under the age of 3 years). Number of brothers and sisters. Histio UK. Litton House, Saville Road Peterborough PE3 7PR. Thank you for your participation. 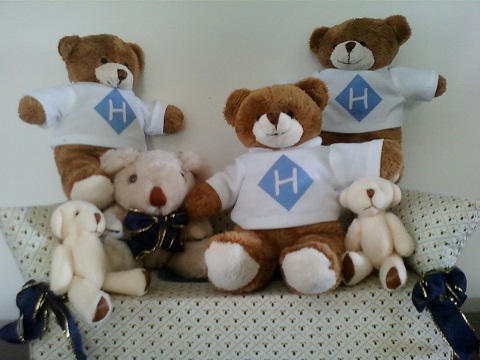 If you can help us make “Histio Bear” Hugs go further please make your donation below. 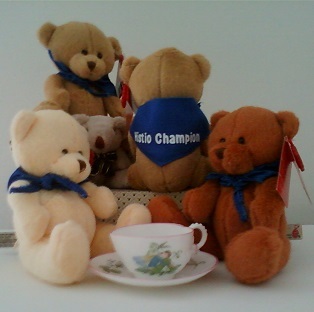 Post your pictures of YOUR Histio Champions with their “Histio Bear Hugs” on Facebook @ Histio Champions UK or Tweet @ Histio UK. Statement of Confidentiality: The information provided here is covered by the Data Protection Act and is for analytical and statistical research only and will not be shared with any other organisation. Thank you for your help with our continued work.